I love rose milk tea. It tastes so good. Since a place that sells it opened up on my way to work, I've been treating myself. I don't love that it's in a plastic cup, sealed with plastic film and accessible to drink via a plastic straw. Sure, I could buy a reusable boba straw as I already have other reusable straws, but that's still a lot of plastic. For a while I've been taking my own cup to Starbucks to put my caramel frappuchino into -- and getting 10c off as well. However, I've been told I can't bring my own cup to get rose milk tea and I can't in good conscience continue with all that plastic. So for the last week, I've been making my own rose milk tea. I took a look at making iced tea and various rose milk tea recipes on the internet. I've been playing and to continue to play with the proportions a bit. And it's delicious. Just as good as, if not better, than a purchased drink. First thing in the morning, I make a strong black tea (currently using Simply Tea) with two tea bags in a large mug (I guess about 12 oz) and a teaspoon of raw sugar (it's a packet, so I'm guessing its about a teaspoon). I let it steep for 5 minutes. Once I get rid of the tea bags, I let it cool on the counter while I do all the morning getting ready for work stuff. 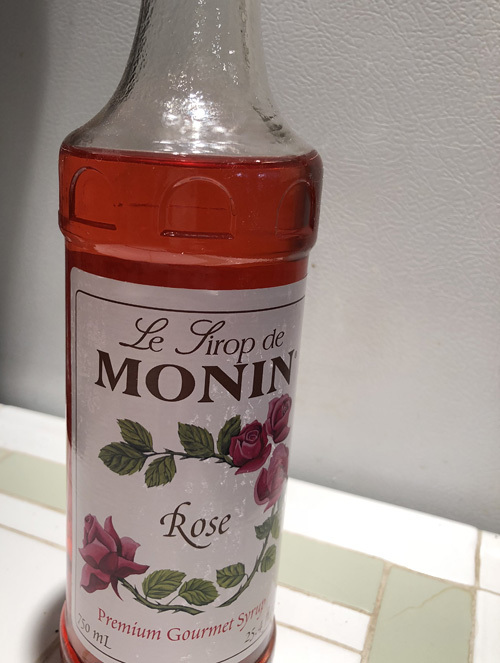 Right before I leave for work, I pour the tea into my 16oz Contigo travel mug, add an overflowing tablespoon of Monin Rose Syrup and add milk to fill the cup. 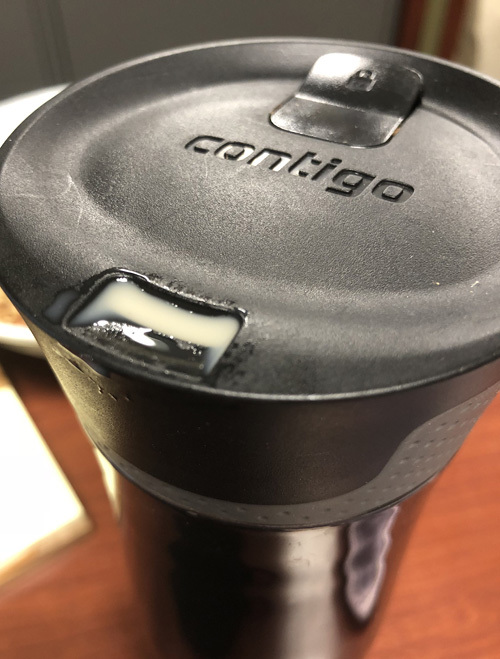 The Contigo is completely sealable, so I put it in my bag and off I go. Depending on how organized I am, the tea is either completely cool, or lukewarm. The Contigo holds whatever temperature it is, but that just helps me get more organized! By the way, this is not a sponsored blog post. I plan to mix things up with different kinds of tea (as I'm eventually going to run out of the Simply Tea), or using rosewater instead of rose syrup and/or a different brand of syrup.